Métro, boulot, dodo — just add yoga! 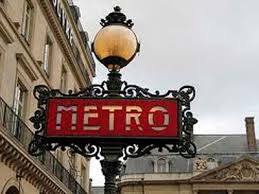 I love the French expression “métro, boulot, dodo”. There’s no good English equivalent. It means “work, work, work”, or more literally “commuting, working, sleeping”, summing up the treadmill where work seems to dominate your existence. Life feels a little like this at the moment, but (here’s the silver lining) with little in the way of commuting and more in the way of yoga-ing. But honestly since I’ve been a bit sick recently life feels like get up, work, home to nap, do yoga, eat, sleep, repeat. I guess it’s not a bad life, but I wish I could get through a day without napping. A whole day in the office is a real struggle right now with physical and mental tiredness. Decision-making has become more an act of faith or gut instinct rather than reasoned logic or evidence-based. Slightly scary, but nothing’s gone obviously wrong yet! Yoga teacher, who understands many things but can’t (I sincerely hope, for his sake!) have any inkling of what this in particular feels like, did point out a fundamental truth to me. That overall my ‘normal’ has changed. I guess he’s seen that more clearly than I can over the last couple of years. So perhaps this shift in ‘normal’ is just something to accommodate for as long as it lasts. It sits a little uncomfortably between longed-for ‘new normal’ of greater energy and feared ‘old normal’ where taking a shower was the most energetic thing I did on many days. I think he was giving me a saṃtoṣa (contentment) lesson, without irritating me with the moralising. Good move. But I gave into parental and spousal nagging and consulted a doctor this week. Not my usual GP and perhaps unfortunate timing that I saw her on the day on which the hoo-ha over the review of the PACE trial hit the headlines [I offer a little summary of this at the foot of the blog]. Her response, literally, was “What do you want me to do about it?”. So clearly this is something to figure out myself! More ‘dodo’ perhaps (even though this goes against medical advice!) and some wise practice of my yoga will keep me ticking over until something shifts. Perhaps it’s something of a patience game. Now that I’ve had a slight whinge about it [thank you for bearing with me! ], I’ll just get on with it! Very briefly, with the big caveat that I’ve deliberately NOT followed the details of this: the recent PACE trial conducted by Oxford University concluded that the only interventions with any demonstrable effect on ME/CFS was GET (graded exercise therapy) and CBT (cognitive behavioural therapy). The follow-up review published this week showed this was a sustained effect after a few years. The PACE trial was criticised for the selection of participants, that they didn’t represent the full range of disability that ME/CFS causes in sufferers and therefore the results were a slightly foregone conclusion. The popular media reporting didn’t help since PACE was represented as suggesting ME/CFS is all in the mind and can be ‘cured’ by a change in patient’s perception of their illness. This isn’t quite what the report concluded as far as I know — but just from interviews with the principal investigator, not from reading the full Lancet report. I don’t really want to link to all this stuff here — it would be a research exercise in itself and clearly emotions run very high over this. I do care, but I don’t want to be an activist on this issue: there are others much better placed for that. Beware yoga sheep — baaa!